The following is from a press release by ACT Government Deputy Chief Minister and Treasurer Andrew Barr. The report update is here, with Capital Metro discussed on page 28. The Infrastructure Plan Update provides an overview of key infrastructure projects that the ACT Government has funded through the 2013-14 Budget or is considering for funding over the next decade. As well as informing the community, the Plan is intended to advise the construction industry and other relevant business sectors of a continuing pipeline of projects. Transformational projects, such as Capital Metro and the City to the Lake project including new convention facilities and stadium, are in response to the increasing demand for high quality infrastructure from both a growing population and an increasingly diversified private sector. This investment will be a significant boost to our construction industry and the associated generation of new jobs will greatly enhance our economy. 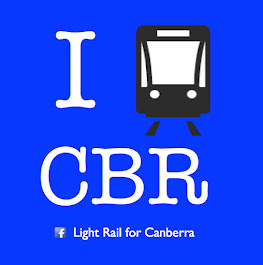 It is estimated that during the June 2013 quarter, there was $10.3 billion worth of private and public sector projects either underway or in the planning phase in Canberra and the region. The ACT Government’s 2013-14 Budget infrastructure investment program provides for $272.2 million over four years and includes new capital works, feasibility studies, forward design projects, plant and equipment, and information and communication technology investment. With our population expected to exceed 500,000 by 2056 this growth requires the right investment in the Territory’s future infrastructure to meet the needs that such a population will demand. The Update also showcases significant infrastructure projects being delivered by ActewAGL, the Canberra Airport, ACTEW, and the National Broadband Network. Through ongoing delivery of this innovative infrastructure program, we are determined to make Canberra a great place to live and work.